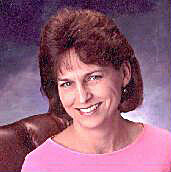 See Connie Shelton's author page. About meMysteries have always been my favorite, so when I began writing it was the natural direction for me to go. I grew up in Albuquerque, NM, and that's where I set my Charlie Parker mystery series. Hobbies include sketching and painting, travel, cooking, spending time with my husband and our cocker spaniel--and of course, reading! About my libraryIn addition to still being an avid mystery fan, I read a wide variety that includes history, biography, spiritual and inspirational, women's fiction, literary fiction and more. I'm not big on sci-fi or romances, but can appreciate a really well-written book in nearly any genre.